Tarbett’s Fishmongers are proud to be Yorkshire’s largest independent fish retailer, supplying and stocking over 300 different varieties of fresh and sustainable fish. Tarbett’s Fishmongers has 3 branches across Yorkshire; with locations in Wetherby, Chapel Allerton and Leeds Kirkgate Market. The company also proudly supplies the finest seafood sourced from around the globe to a steadily increasing number of premier Yorkshire Restaurants based right across the Yorkshire region; These restaurateurs are looking to offer their discerning diners an impressive array of seafood and shellfish as part of their culinary offering. 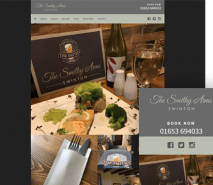 Our client, Liam Tarbett, has fishmonger branches in Wetherby, Chapel Allerton and Leeds Kirkgate Market and the website design brief provided to Air Websites was cantered around promoting the existence of these three Yorkshire locations with a view to increasing B2C footfall. The chosen Air Websites solution was perfect to get the company online quickly and with minimum financial investment, thanks to our popular growing package. The Tarbett’s Fishmongers homepage mainly consists of prominent promotional banners which can be clicked on to navigate website visitors to the relevant internal sections on the site. Links from the promotional banners drive user’s down journey’s with specific goals in mind. 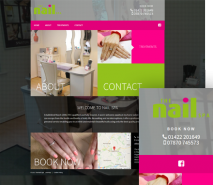 However, the main objectives were to get visitors to view the ‘Our Shops’ page and to make sure that navigating to a contact page was as effortless as could be. By creating tailored sub-pages for each location with a unique URL, this supports the individual fishmonger shops showing in Google search results if people within one of the Yorkshire towns were to search for a local fishmonger. This was the first ever website for Tarbett’s Fishmongers and Air Websites was delighted to support this fantastic local business getting online so that they can begin attracting whole new generations of customers into their three shops. 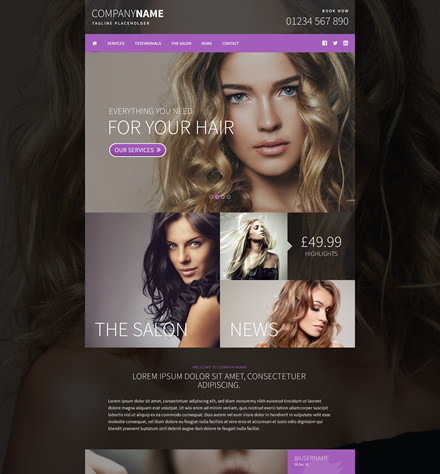 "As a rapidly expanding retail business we needed a site that could grow as we grow, Air Websites gives us a professional, flexible solution and the team delivered it quickly and to our high standards!"